The pro-life movement has always been animated by compassion and a zeal for human rights. But if you asked people on the streets whether they associate those two things with the pro-life movement, I wonder how many would agree. It’s not that the average grassroots pro-lifer has changed—at the March for Life in D.C., in conversations with staunch advocates, or during visits with workers at pregnancy resource centers, I see the same love, passion, and earnest care for the unborn (and, importantly, for their mothers). But recently, our “pro-life” political representatives around the country have been less than inspiring. Donald Trump has bragged about sexually assaulting women (though he has denied actually assaulting women). Tim Murphy, a “pro-life” congressman, urged his mistress to get an abortion when she said she might be pregnant. Roy Moore, a Republican politician running for U.S. Senate from Alabama, was accused of sexual harassment and molestation of minors by several different women prior to his electoral race (which he lost a month ago). Many pro-lifers have compared themselves to 19th-century abolitionists. To them, both issues hinge on human dignity and the right to life, liberty, and human flourishing. Both have been unpopular and controversial movements, deeply inspired by moral arguments and financial concerns. But to garner inspiration for their cause, there’s perhaps no better example for pro-lifers than William Wilberforce and the English abolitionists of the late 18th and early 19th centuries. One useful volume on this subject is Eric Metaxas’s bestselling biography, Amazing Grace: William Wilberforce and the Heroic Campaign to End Slavery. In England during Wilberforce’s life, slavery was an accepted practice; while many believed it was wrong, most were willing to turn a blind eye to the trade or declare it a “necessary evil” for the commonwealth. Few questioned it with the vehemence or passion of Wilberforce and his compatriots. How, then, were Wilberforce and the abolitionists able to ban slave trafficking—and eventually, slavery itself—in their lifetimes? What massive concentration of resolve managed to turn a whole empire against slavery? After all, slave traders were wealthy and influential members of society; many members of Parliament had an interest in keeping the trade alive. The industrial complex built on the loathsome practice was large and influential, and its adherents protested Wilberforce’s efforts vehemently. 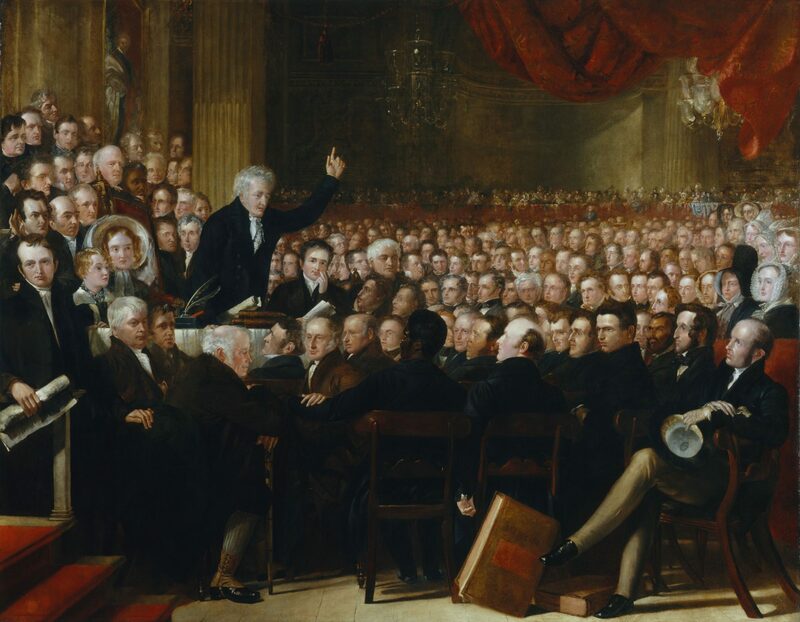 Wilberforce and his allies didn’t content themselves with advancing a political agenda. They focused on the cultural, social, and ideological mores that allowed slavery to exist in the first place. It’s important to note that, faced with the passivity or antagonism of the powerful and influential, Wilberforce and his allies didn’t content themselves with advancing a political agenda. They focused on the cultural, social, and ideological mores that allowed slavery to exist in the first place—indeed, the abolitionists turned themselves passionately and primarily to public awareness, cultural causes, and grassroots campaigns. Before Wilberforce ever petitioned Parliament for the abolition of the slave trade, his compatriots had begun working on the hearts and minds of the British people. They knew this was where the battle must begin. The abolitionists used art and music powerfully—Josiah Wedgewood’s antislavery cameo (“Am I not a man and a brother?”) was turned into brooches and pins. Posters of the horrifically inhumane “storage” system employed aboard slave ships were posted around England. William Cowper and Samuel Taylor Coleridge both wrote antislavery poems for the cause, and Cowper’s was set to music. Famous playwrights like Hannah More joined the abolitionist fight and built up popular support. A boycott of West Indian sugar targeted the slave traders’ coffers. The work was neither easy nor swift. For 20 years, Wilberforce petitioned Parliament to abolish the slave trade. It took 20 years for that bill to pass, and then another 26 years to abolish slavery as a whole. All this was happening even as Wilberforce and his allies failed (time and time again) to abolish the slave trade in Parliament. As they worked to turn public and cultural support in their favor, they slowly sought to move the political ball forward—one year, and one bill, at a time. But the work was neither easy nor swift. For 20 years, Wilberforce petitioned Parliament to abolish the slave trade. It took 20 years for that bill to pass, and then another 26 years to abolish slavery as a whole. Nonetheless, those 46 years changed the entire character and moral compass of the nation. The abolitionists’ accomplishment was monumental. There are several personal traits that likely helped Wilberforce and his political allies. First, they were highly virtuous and compassionate people. Wilberforce paired this integrity with a winsome and charismatic manner. In a world that disdained the goody-two-shoes sincerity of dedicated Christians, Wilberforce’s cheer and charisma drew people to his cause and his faith. 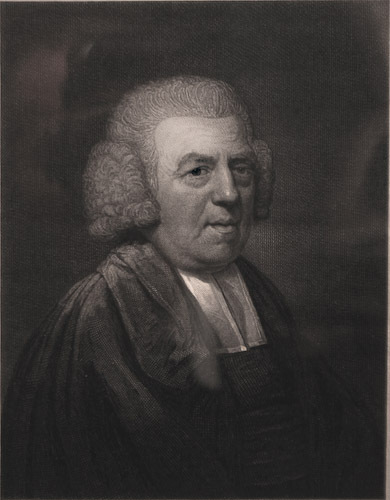 To read about the Clapham Sect (the community of Christians and abolitionists to which Wilberforce belonged) is to uncover a committed group of culture transformers: Christians who took the implications of their faith seriously on both a private and public level. The Claphamites didn’t just fight for abolition: they championed penal reform, welfare reform, and the humane treatment of animals. They fought child prostitution, child labor, and cruelty in the British Army and Navy. Wilberforce lambasted the British abuse of Indians through the East India Company and sought to raise awareness regarding the practices of female infanticide and suttee (in which widows were bound alive and thrown on their husband’s burning funeral pyres). He fought to outlaw public hangings and animal baiting. By the end of his life, Wilberforce had given his (substantial) fortune away to various philanthropic causes. He died a pauper. What would happen if the pro-life cause raised up leaders like that? With excellent leaders, the pro-life movement would be able to organize those with concerns about abortion across the political spectrum. Pew Research Center has found that about 3 in 10 Democrats believe abortion should be illegal in all or most cases. A Fox News poll in 2016 put that number at 27 percent. Neither African Americans nor Latinos (both core Democratic constituencies) are unequivocally pro-choice: 35 percent of blacks and 49 percent of Latinos believe “abortion should be mostly illegal.” At least 60 percent of Americans believe abortion should be outlawed after 20 weeks. The pro-life cause has a lot of work to do in the cultural and grassroots realm. Yet despite these public hesitancies (as well as Republican control of the White House and Congress), Congress was unable to defund Planned Parenthood last year, a step far from outlawing abortion. This defeat suggests that the pro-life movement may not have the leaders it needs; it also suggests that the pro-life cause has a lot of work to do in the cultural and grassroots realm. Changing public opinion means raising awareness. It means pro-lifers need to be good storytellers. LiveAction and the Center for Medical Progress have targeted Planned Parenthood with investigative stories and sought to address many of its illegal or questionable activities. But there are few other organizations regularly telling stories or creating media that pinpoint problems with abortion. When the Kermit Gosnell story broke a few years ago, many in the mainstream media ignored it until whistleblowers forced them to pay attention. 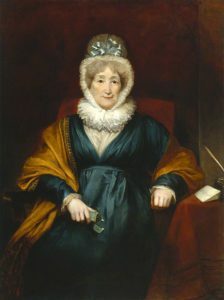 Hannah More, a member of the Clapham Sect, was a poet and playwright. Pro-lifers also need to be thoughtful artists. Poetry isn’t as popular as it was in Wilberforce’s day; we don’t wear brooches anymore. But musical artists have enormous clout, as do athletes and actors. Nowadays, we have bloggers and Instagram and YouTube stars. Our platform potential is expanding, not shrinking, with time. And the art we have seen on this issue—such as the award-winning film Bella, which came out in 2006—has had a positive effect on the pro-life cause. We just need more of it. Finally, pro-lifers need to be compassionate advocates. Almost half of the women who procure abortions are living under the federal poverty line—and many cite financial scarcity as their primary reason for getting an abortion. Understanding this strain, and helping address it, should be an integral part of the pro-life cause—not just on a political level, but on a cultural and grassroots level. It should be a natural extension of the pro-life cause, which is determined to fight for the most vulnerable among us. Wilberforce didn’t fight poverty and animal abuse so that his anti-slavery crusade would be “cooler” or more appealing. He was determined to fight oppression, injustice, and suffering in all its forms. Pro-lifers need to be good storytellers . . . thoughtful artists . . . [and] compassionate advocates. Many of those who voted for Roy Moore in November’s election told me that voting pro-life, like voting anti-slavery, couldn’t wait. They were determined to move the political battle forward, no matter how weak or problematic the vessel. ​Gracy Olmstead is a writer and journalist located outside Washington, D.C. She’s written for The American Conservative, The Week, National Review, The Federalist, and the Washington Times, among others. You can follow her on Twitter.